We keep a large collection of in-house PVC Card Holders which we are able to deliver fast with low prices. Keep in mind the above sizes are only the in-house stock - you can have any size you require. Also consider your card thickness so that we can get the perfect fit - some thicker cards may require an extra 1-2mm on each side for a perfect fit. Need these ID card holders fast? No problem! 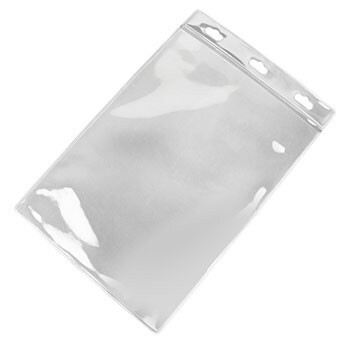 we keep these ID card holders in stock for overnight dispatch to most states. Please bare in mind express courier fees apply and stock levels varie. 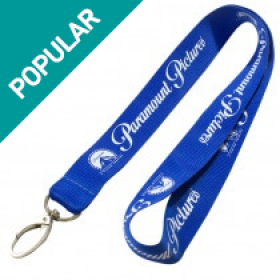 Please inform us of your size required and if you require lanyards to hook your id card holders onto and we can dispatch same day! • Suitability for standard cards of various kinds. • Designs that you can rely on. 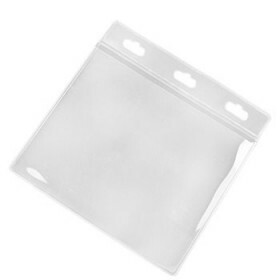 Who benefits from in stock PVC card holders? • Portrait size of various dimensions. • Landscape size that can be specified at the time of ordering the card holders. • Even A6 portrait size and so on. 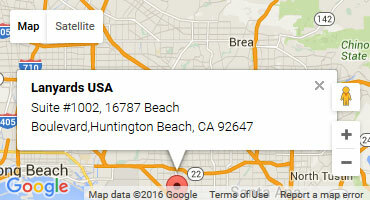 Of course, you can always ask the manufacturer for any other customized sizes that you have in mind. Also, be sure to specify the thickness of the card so that the PVC card holders suit your requirements completely. Even though you would have expected a large number of people to turn up for an event such as a trade fair, sometimes you may be caught unawares especially if the event is open to the general public and where people can walk in even without a formal invitation. For such an event, it becomes extremely important for you to have some kind of identification and here is where putting a rush order on in stock PVC card holders can turn out to be a huge advantage. Clear badge holders will be found at events of every size and type. 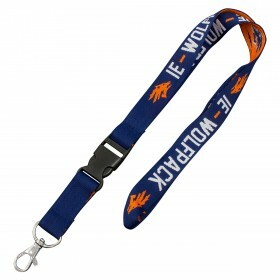 As there are numerous styles and sizes to select from, any organization will find an ID holder that meets their needs. 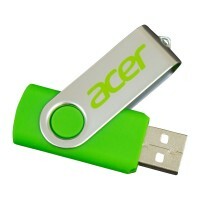 Furthermore, the items can be customized with the help of various accessories. As they are so handy many people choose to buy these holders for other purposes, such as for holding a small notebook or an important document. Clear ID holders offer a number of benefits for the user. They not only keep the ID clean, they also ensure it holds up to frequent use. In fact, the purchase of name tag holders can actually save a company money over time, as the ID cards won't need to be replaced as frequently. 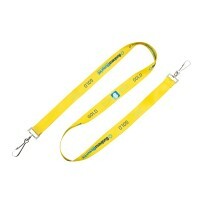 Furthermore, they free up the user's hands for other items, as the badge is secured, yet in an easily accessible place. The low cost makes them affordable for businesses of all sizes, and they are very durable. The holder can be placed under clothing, but still be accessible. Others won't be able to access the contents in this situation, but the user will still have the items close at hand. Businesses can choose from different sizes, depending on their needs, and all come with a slot in the middle for an accessory clip. For those who make use of a double ended lanyard or similar item, the dual holes in the corners are perfect for a bulldog clip or another accessory of choice. 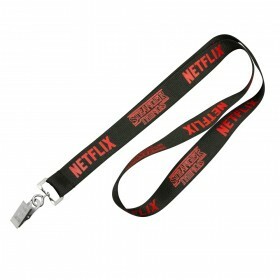 Individuals may choose from a variety of options, as the ID holders can serve as a credit or gift card holder, a neck wallet, or simply to hold a badge. Many organizations benefit from the use of badge holders. Educational institutions find they can provide staff members with an ID and holder to ensure all wearers are easily identifiable. A company finds the badge and holder to be of help when visitors come to explore the facility, and retailers may wish to provide a badge holder with a loyalty or reward card to their customers. With so many ways to make use of badges and badge holders, a company simply needs to determine how many they wish to buy. Once they arrive, let the creativity flow and use them everywhere. Those that do so wonder how they lived without them in the past.